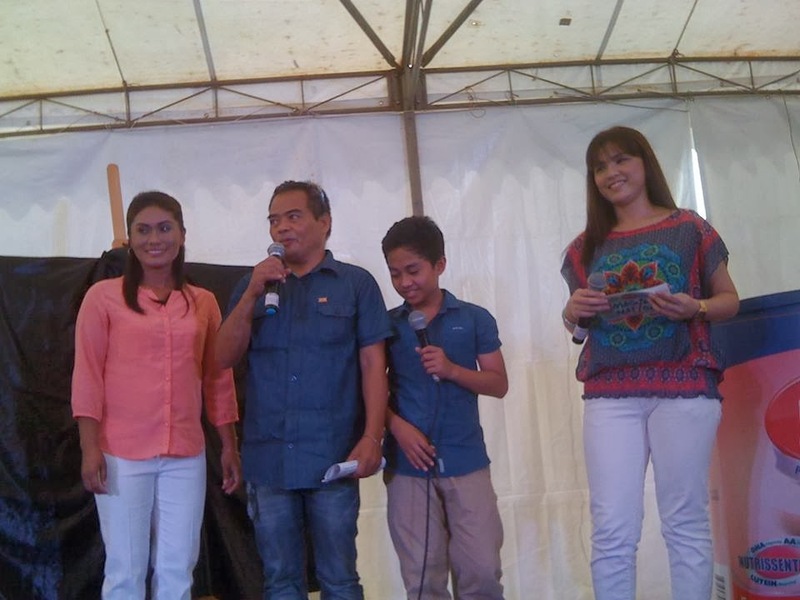 With its long-standing thrust of encouraging Filipino children who have exceptional talent, Promil Pre-School recognized Hamzah as an Outstanding Child Artist in an event held on October 28, 2013 at the Activity Pods 1 and 2 of Bonifacio Highstreet in Taguig. 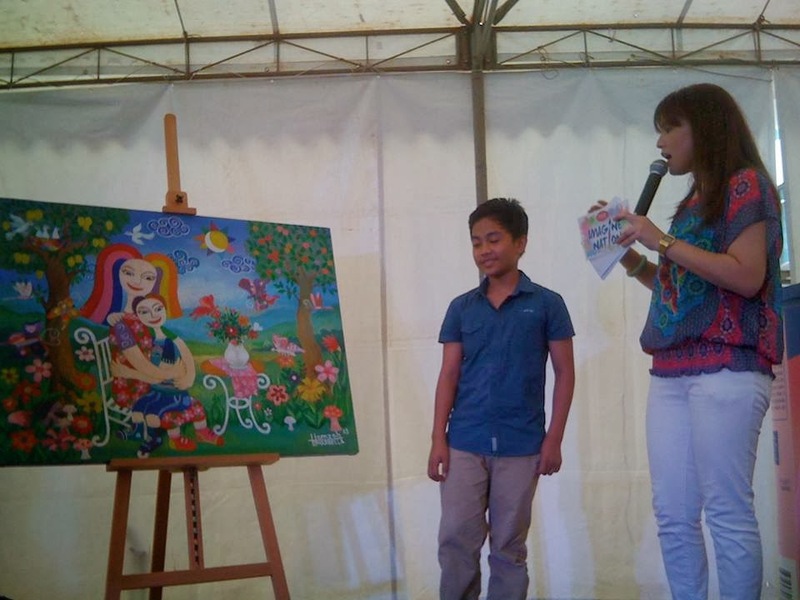 Hamzah with fellow painter CJ de Silva, were joined in by a group of exceptionally talented children, all of which are walking testaments not only of Filipino talent, but of the Promil Pre-School heritage in nurturing gifts as well. 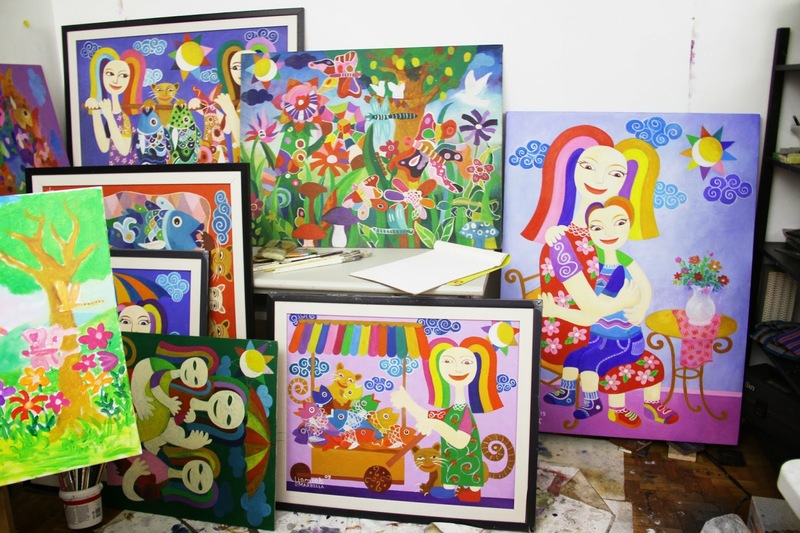 Hamzah is the youngest member of the Artists Association of the Philippines. Some of his 300 artworks have been featured at Asian exhibitions and at the United Nations headquarters in New York City. During the event, attendees experienced Hamzah’s artistic world firsthand by joining him in painting the biggest children’s collaborative masterpiece. 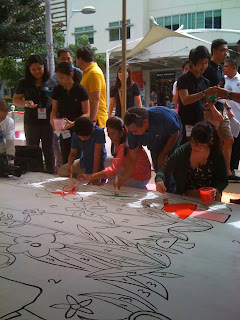 Kids and guests didn't mind getting their hands dirty as they co-create the first hand-painted billboard in the country. 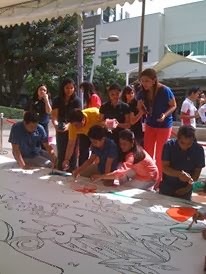 This first co-created,hand-painted masterpiece will be displayed in different venues in the metro. 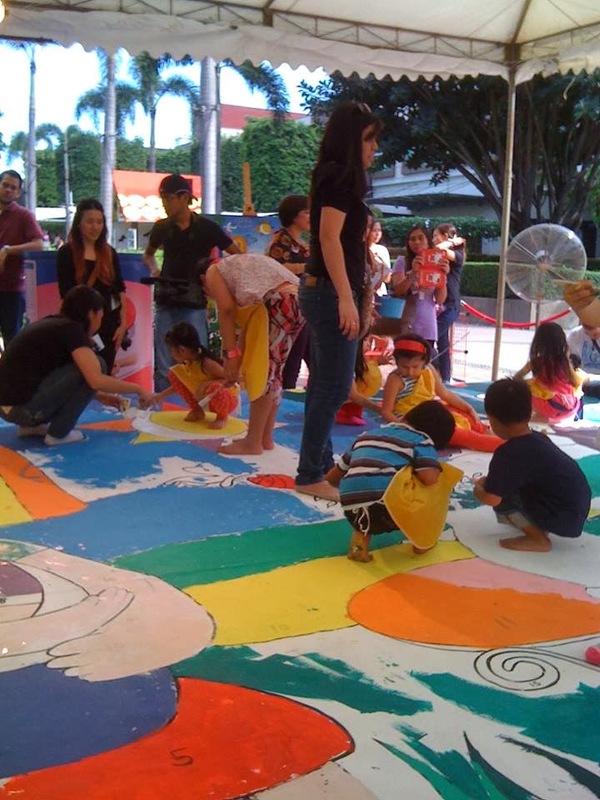 First stop will be at the left entrance of Eastwood Mall Open Park in Quezon City, starting October 31 to November 14, 2013. For details on the next venues, visit Promil Pre-School’s Facebook fan page. Promil Pre-School, a powdered milk drink for children 4-7 years old, contains NUTRISSENTIALS –a unique combination of essential nutrients such as Iron, Iodine, Zinc, Vitamin A, Niacin, Potassium, Biotin, plus Lutein that may help your child reach his full potential. Now, it contains DHA and AA. Wyeth Nutrition, formerly Pfizer Nutrition, is part of Nestlé S.A. Wyeth Nutrition develops premium-quality nutritional products scientifically designed to meet the needs of infants and young children, as well as pregnant and lactating mothers. Wyeth Nutrition has leveraged clinical rigor, scientific research, world-class manufacturing and product safety standards to drive scientifically-sound solutions that offer parents confidence, help nourish children and support their healthy futures. the floor painting is fun! It sure is. 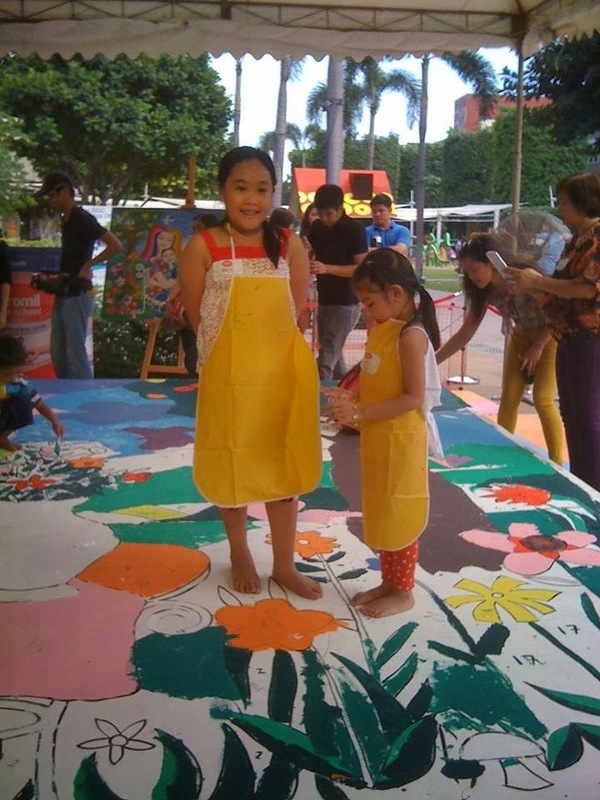 My daughter had a grand time painting on her knees. This is a great event by Promil. 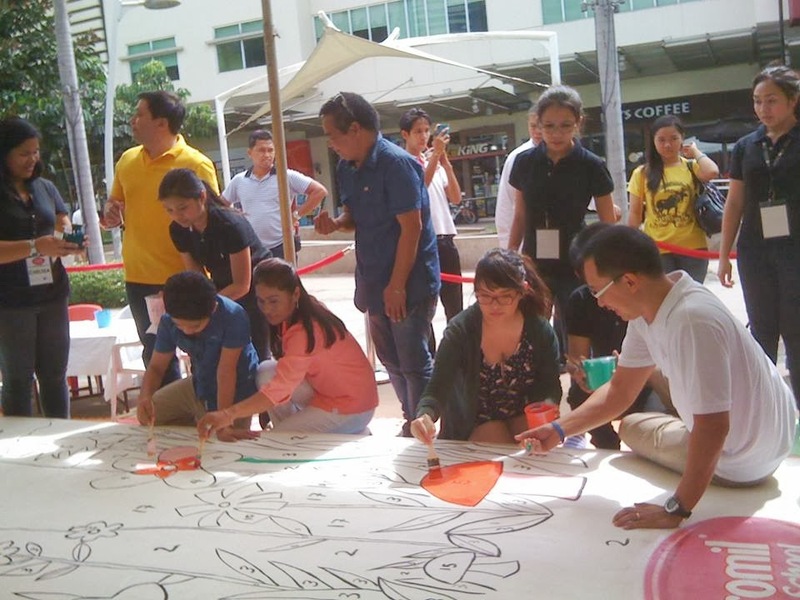 How I wish the government would also have such programs to hone talents of "gifted children"